Ready, set, go! 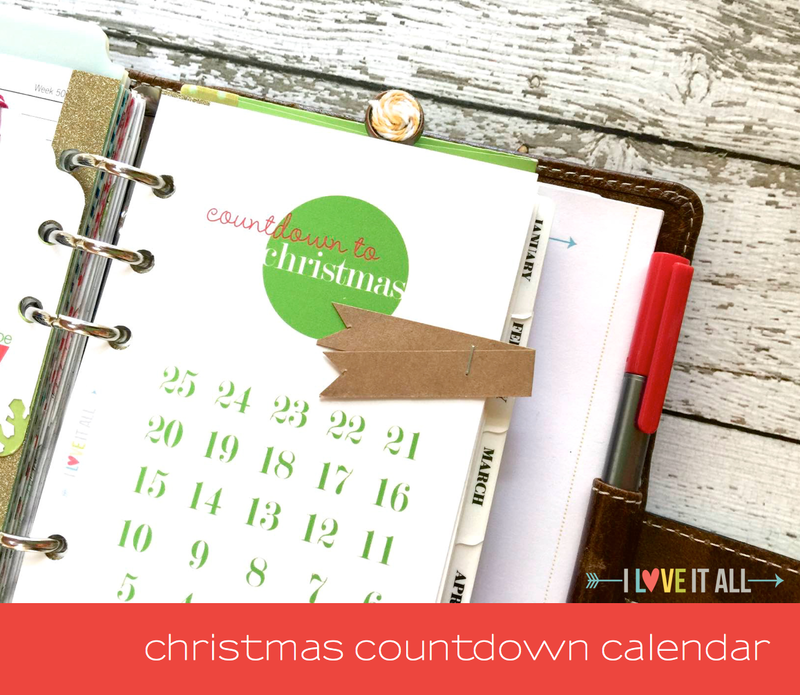 Print your Christmas Countdown Calendar sized for a Personal sized planner and here's a letter sized calendar to hang on the fridge for the kids to mark off the days! In just one month, we'll be sitting around in our comfy clothes, sipping on hot chocolate and sitting on the couch gazing at the fire while the kids play with their toys or read books. We'll reflect upon the birth of Christ and the joy of having family near to celebrate with. In addition to the calendar, there's also a Countdown to Christmas list page included in the file. Because, who doesn't need another list page, right? You could even print off several of these and make a notepad using this tutorial. A little washi tape and some flair buttons just make anything cuter and more cheerful, so go for it! 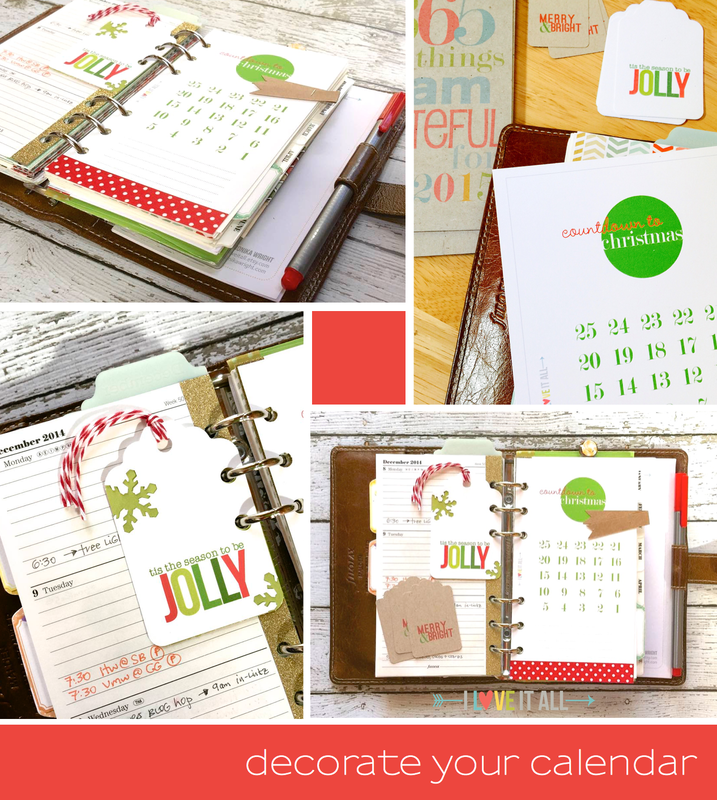 The Jolly gift tag is included in the file as my gift to you. I used a large tag punch from Marvy Uchida to punch mine out and then used a snowflake punch and backed the tag with some contrasting paper to make them stand out even more. Add some baker's twine from The Twinery and you're all set for a jolly December. Oh, and our kids loved the Halloween Countdown Calendar in case you missed that printable and here's how I used it in my Filofax Finsbury. 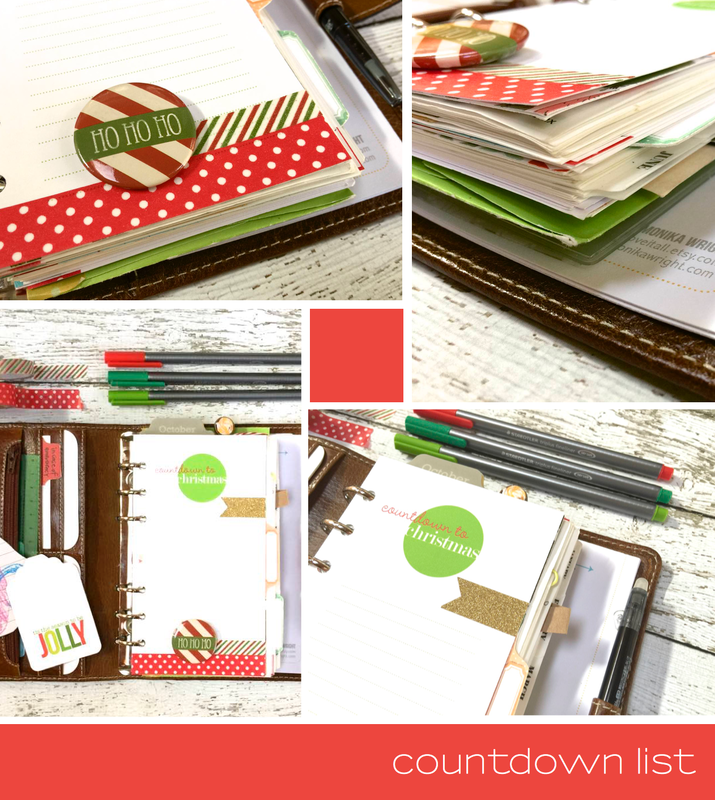 Here are more Filofax ideas, tips and photos to browse through. Follow my to filofax board on Pinterest. And here are more fun free downloads.